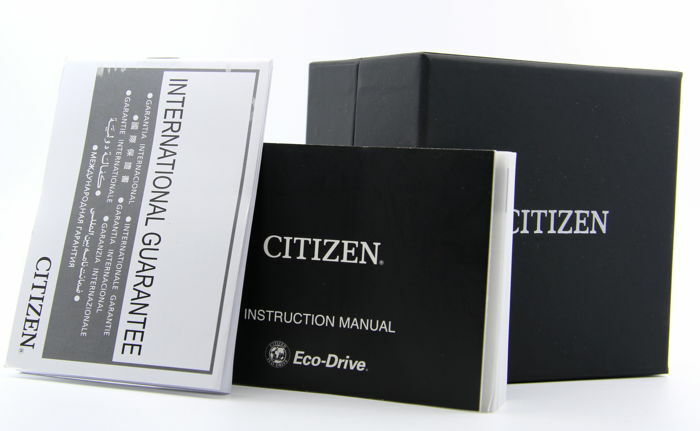 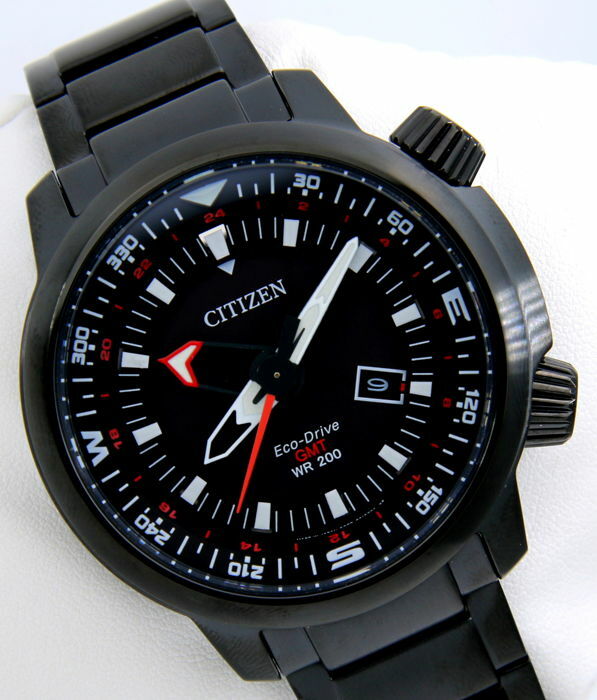 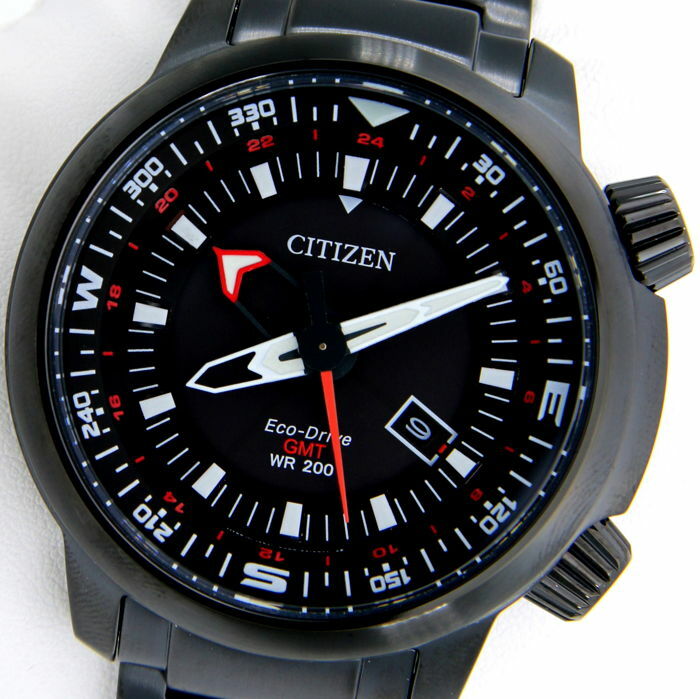 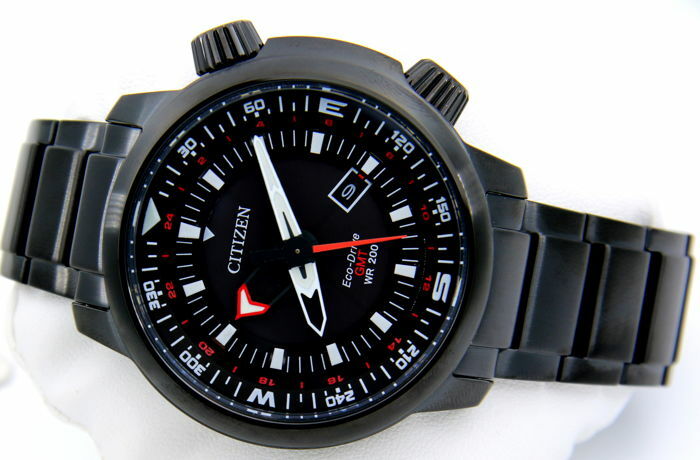 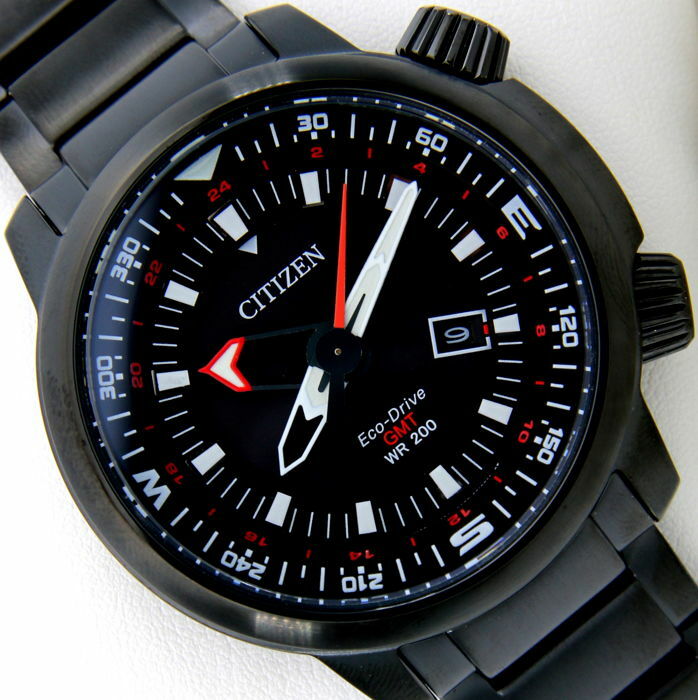 Citizen Eco-Drive Promaster GMT WR 200 'All Black'. 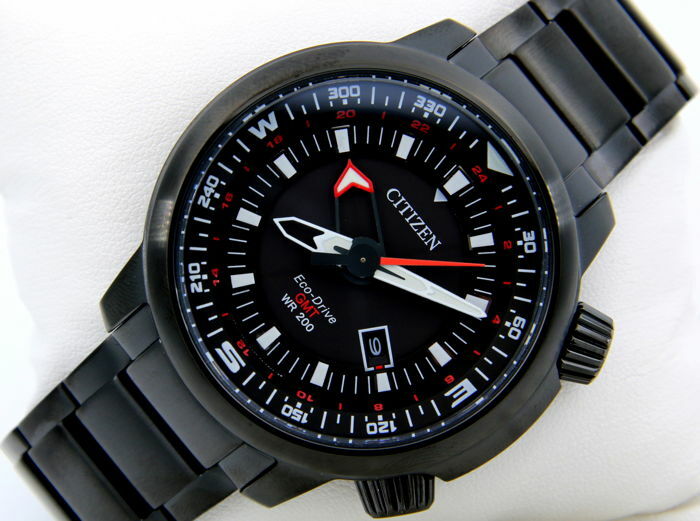 Very large watch weighing approx. 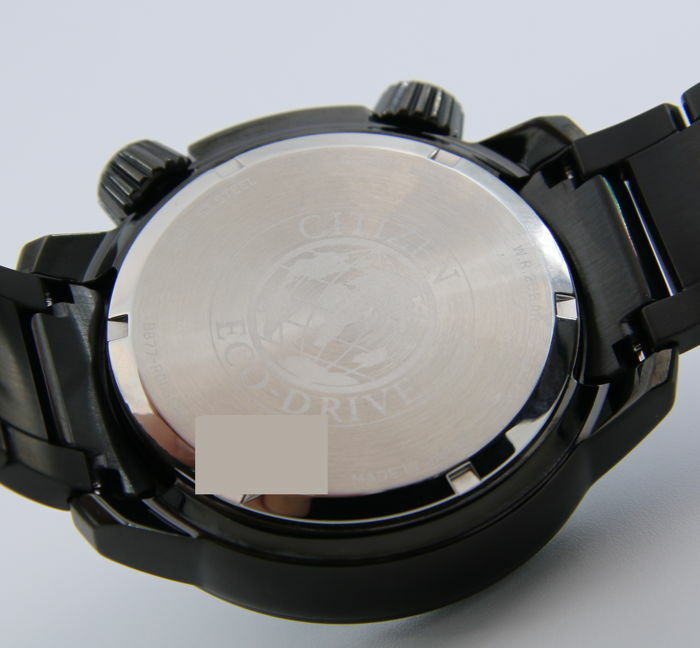 220 g. The case measures 48.5 mm in diameter (excluding crown) and 13.5 mm in thickness. 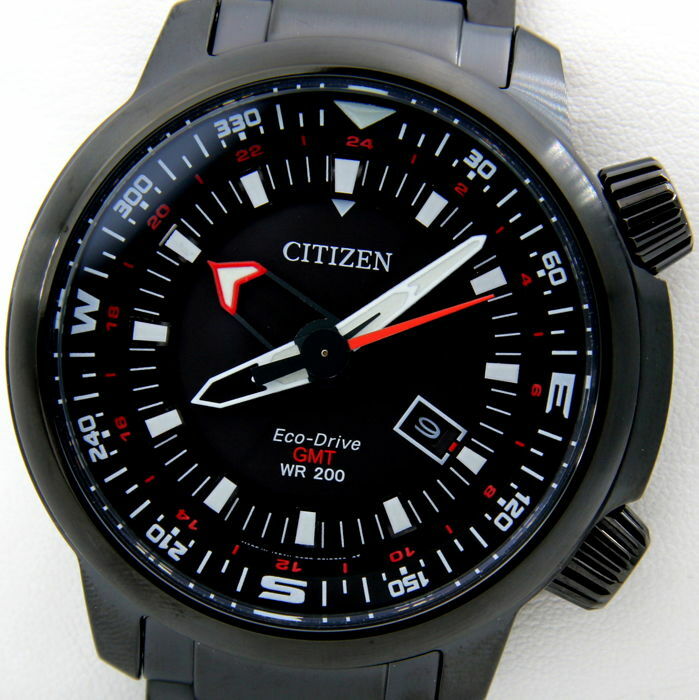 Eco-Drive movement made in Japan, cal.B877 (it has no battery; it is charged with sunlight and artificial and fully charged, being always without light, it works for about 6 months). 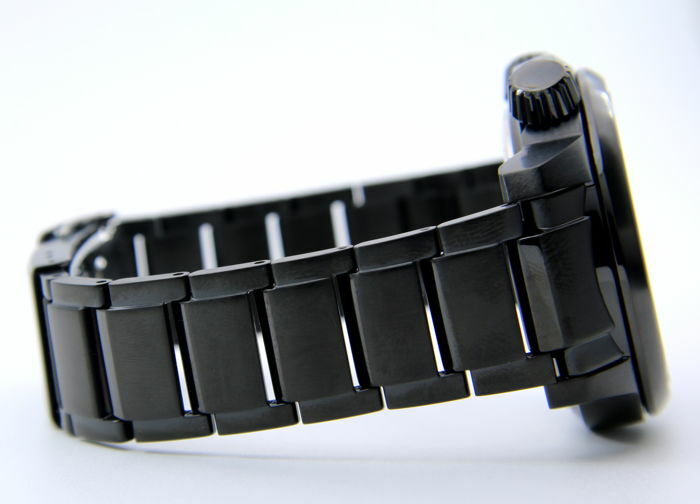 Rotating internal ring for calculation functions (the ring turns manually through the crown at 2 o'clock). 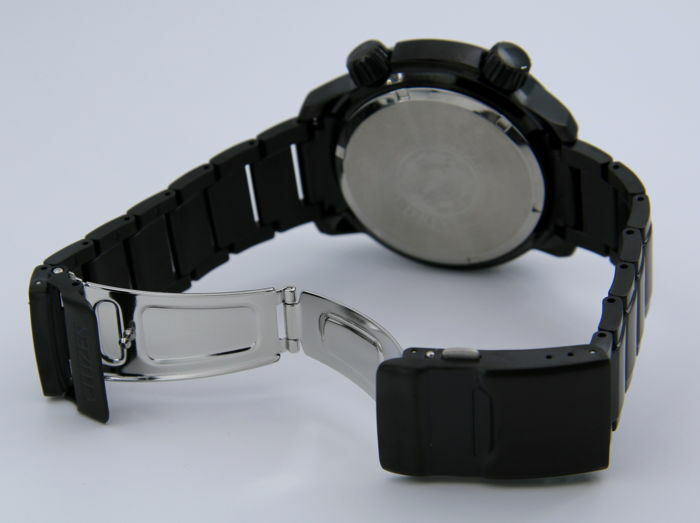 Steel case with black PVD treatment. 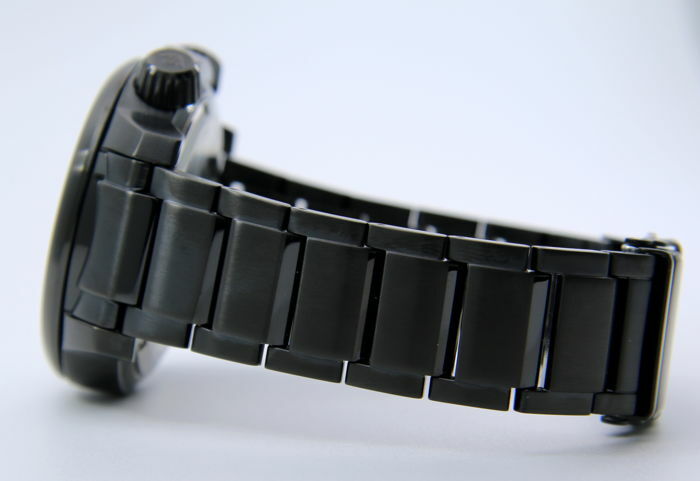 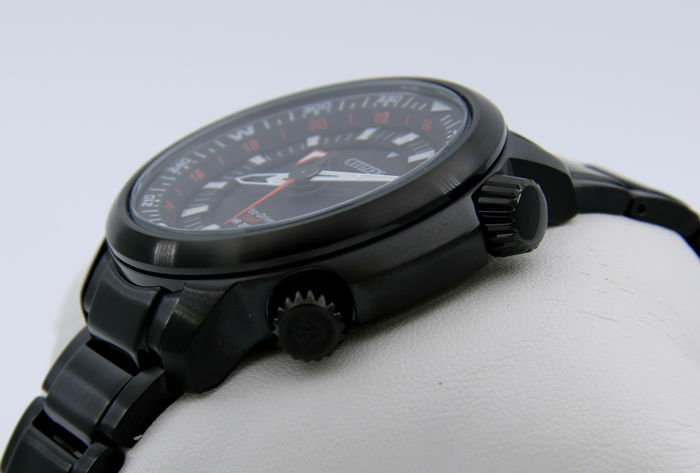 Steel strap with black PVD treatment (the width varies from 20mm to 22mm). 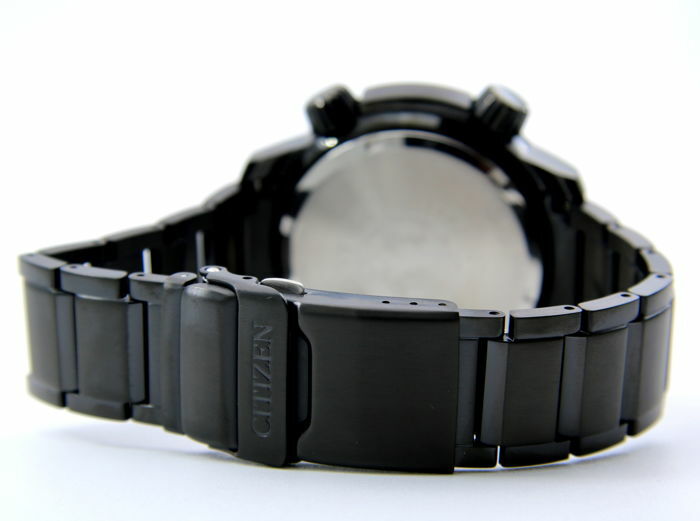 Water resistant 20 bar, with screw-down case back. 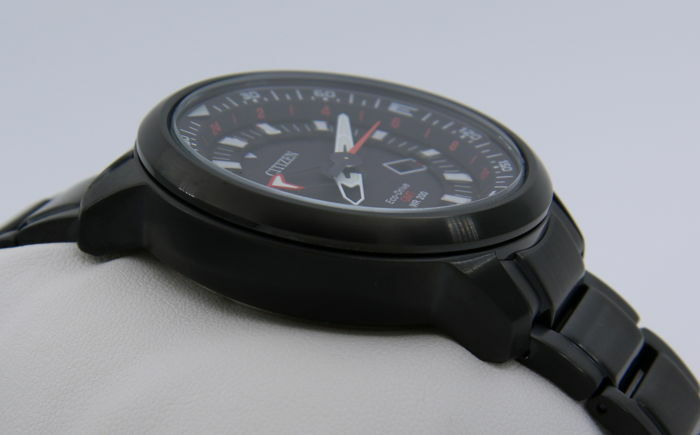 The case measures 48.5 mm in diameter (excluding crown) and 13.5 mm in thickness.